Slow-moving but involving story of a mob war. 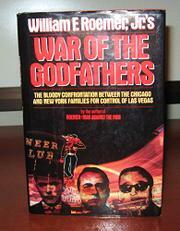 Roemer (Roemer: Man Against the Mob--not reviewed), a retired 30-year FBI agent specializing in Mafia activity in Chicago, has the credentials to tell this story, but he hamstrings himself by stating that he has "introduced some speculation," that "limited portions. . .are fictionalized," and that "events or conversations were dramatized because no official law enforcement version of the real events exists. . ." Since the first two chapters consist mostly of dialogue (written rather woodenly), their authenticity is in doubt. In any case, they detail how, during a 1977 summit meeting of La Cosa Nostra, the Accardo family from Chicago apparently was given control of Las Vegas, while the New York families, including the Bonanno family, got Atlantic City. Since Atlantic City yielded nowhere near the money that Vegas did, Joe Bonanno, godfather of the Brooklyn mob, decided to seize control of the casinos on the Vegas Strip, starting with the Star. Roemer's murder-by-murder account of the Bonanno family's attempts to horn in on the Accardo family's territory is exciting reading, as are his descriptions of how the mob sets up "clean" businessmen to own and operate their casinos, financing them with multimillion-dollar loans from the Teamsters Pension Fund (under mob control), and skimming the profits. Roemer's experience has left him with some fascinating tales and this is one of them, even though the book is skewed toward Chicago mob material (including a 50-page appendix about organized crime in that city).